This year, the first Jacet ESP Kanto Sig meeting will be held at Saitama University from 3pm. From this post, you can download the information packet with directions to campus as well as view an embedded map on directions to room 1-201 at Saitama University. It is with great pleasure that I make the announcement of our December meeting and our Bonenkai on Dec 19 (Saturday). See below for the meeting program and the Bonenkai information. Sentence-level information structuresas the framework for an entry-level ‘critical thinking’ syllabus. Information organization structuresfor control of rhetorical flow. A ‘processing’ heuristicfor creating fertile variation in language learning activities. A demonstration of the application of 1) information structures to syllabus/materials design will follow. Lawrie Hunter is currently working in the Center for Professional Communication at GRIPS in Roppongi. He was a member of the founding team of Kochi University of Technology, and before that he created the intercultural communication program for Kochi University. He has worked as a mathematics teacher and counsellor in Canadian high schools and as a mathematics teacher trainer in Papua New Guinea. His main research themes are document design for education; computer assisted language learning; information structures as a framework for EFL curricula; non-grammar approaches to academic writing; and concept/argument mapping for low text representation of complex ideas. Textbook publications: Critical Thinking (Asahi); Thinking in English (Cengage); How Academic Writing Works (Minaminokaze). Lawrie is now active in the Tokyo poetry scene. Students on specialised fields such as engineering and medicine may be required to do large amounts of reading, in particular expository texts. In the presenter’s experience students sometimes take a passive approach to reading such texts, and also fail to grasp their meaning. This presentation will describe a text-mapping based approach to reading expository text that has been progressively developed over the past decade and which forms the basis for ongoing classroom-based research. The technique has several posited benefits for learners and teachers. Firstly, it encourages students to take an active, collaborative approach to reading. In addition, it allows the teacher to build in grammar work, in particular work that focuses on the key technical language structures. Finally, it offers an alternative to the traditional Q & A approaches to reading assessment. Michael Sharpe is Deputy Director of the International Education Program at Kochi University, and also teaches English to high school engineering students, and medical sciences students. Research interests include academic English, project-based learning and the use of text visualisation techniques in the second language reading classroom. He has a Master’s degree in TEFL from the University of Reading, U.K.
Summary writing is an essential skill for science and technology students. Students often need to read and understand scientific literature and then summarize the contents of the articles into a short paragraph. Summarizing the contents require extensive paraphrasing skills of the student. However, in the teaching of academic English in Japanese universities, it is not a skill that is given much importance. 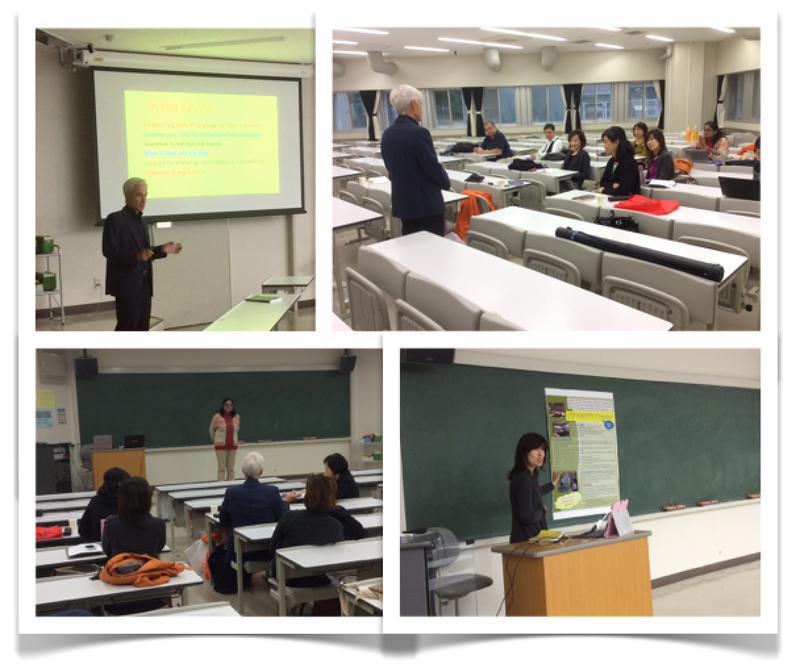 In this paper, we report the teaching of summary writing to third-year undergraduate students in a technical English course at a Japanese university of science and engineering. A total of around 40 students were first divided into two groups and given texts related to science. They wrote two drafts of the summaries. For the first draft, the students belonging to group 1 were taught the stages involved in constructing a summary using genre theory and then asked to summarize while in group 2, students were asked to translate and make a summary based on the translation. For the second draft, the order of tasks given to students as well the texts used were swapped with group 1 doing the translation followed by summarizing and group 2 learning stages and then constructing a summary. Summary drafts 1 and 2 from both the groups are analyzed for the lexicogrammatical features by systemic functional linguistics and to assess based on their lexical density, clause structure, paraphrasing, and usage of tenses. Results of analysis and its implications to the pedagogical approaches followed will be presented at the meeting. Uma Maheswari Rajagopalan is an ESP teacher and researcher at Toyo University and an adjunct teacher at UEC Tokyo. She received her Master’s in Physics and Applied Optics from India and a Ph.D in Engineering from Hokkaido University. She also acquired a master’s degree in Applied Linguistics from the Open University, UK. Her research interests include EST in addition to optics in biology and cognitive neuroscience. Shi Jie is an English professor at the University of Electro-Communications (UEC) in Tokyo, Japan. She has worked and conducted research in China, Singapore, the USA and Japan as an EFL/ESL teacher and action researcher. Her recent research interests include ESP and EAP, Curriculum Development, Corpus Linguistics and Professional Development. There are two ways to get to building one. 1) Go into building 8 with the 2 glass wings at the main entrance. Take the elevator / stairs to the 2nd floor of building 8, and walk through to the first floor and elevators for building one. 2) Walk past the fountains at the main entrance until you reach the top of a gentle slope. You will see a big statute of Inoue Enryo there, too. The entrance to building one is through an entrance 80 meters past the side of the building on your direct left. If you are planning on joining the Bonenkai, please kindly send a reply to Shi Jie at shi.jie@uec.ac.jp (Do not send a reply to this message which is our group mailing list.) by Dec 7 (Monday) for making reservation at the restaurant, though last minute participation is also possible upon seat availability. Looking forward to seeing you at the meeting and at the BONENKAI! It is with great pleasure that I make the announcement of our November meeting on Nov 14 (Saturday). 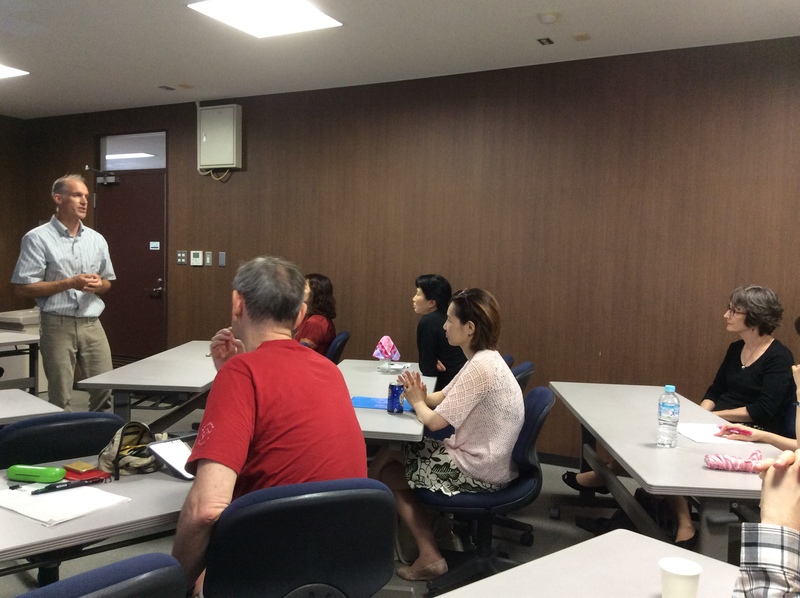 John Cross is an adjunct member of both undergraduate and graduate school Technical English programs of UEC Tokyo. He has taught English in Japan, China and the UK at tertiary level, and has written papers on learners’ language acquisition and adaptation to academic conventions. He is an active researcher in ESP and EAP apart from being a fiction author. Uma Maheswari Rajagopalan is an ESP teacher and researcher at Toyo University and an adjunct teacher at UEC Tokyo. She received her Masters’ in Physics and Applied Optics from India and a Ph.D in Engineering from Hokkaido University. She also acquired a master’s degree in Applied Linguistics from the Open University, UK. Her research interests include EST in addition to optics in biology and cognitive neuroscience. JACET SIG on ESP would like to remind prospective authors of the call for papers for the Annual Report of JACET SIG on ESP Vol. 17 (2015). The deadline for submissions has been extended to December 31st (Japan Time) to give prospective authors more time for drafting papers. Please refer to the JACET SIG on ESP homepage (http://jacet-esp-kanto.org) for detailed submission guidelines and manuscript templates. Please circulate this announcement to all potentially interested colleagues. Presentation Abstract: Project-based learning is a dynamic classroom approach where learners investigate real-life problems with the hope that they become more involved in the learning process. But educators who implement project-based approaches often face difficult obstacles, particularly in cultures where teachers are expected to orchestrate classes from a podium and learners are accustomed to acquiring facts passively. Rather than a ‘pure’ form of PBL, ESP courses may better benefit from a classroom activities that integrate structured group work with hands-on tasks. This presentation will offer suggestions on implementing a successful project-based curriculum for language learners in ESP settings with a focus on increasing learner engagement. The presenter will illustrate a number of simple hands-on projects which promote collaborative responsibility, integrate active and passive learning tasks, and make use of classroom time effectively. The structured projects draw upon the vocabulary and grammar from the course textbook and include scaffolding strategies that facilitate group tasks. Profile of the Presenter: Paul Daniels has been teaching English in Japan for over 20 years and is currently a Professor of English at Kochi University of Technology. His research interests include CALL, ESP and Project-based instruction.